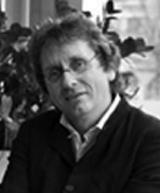 Professor Dr Michael Braungart is Academic Chair, Cradle to Cradle Chair for Innovation and Quality, Rotterdam School of Management at Erasmus University in the Netherlands. He holds the Chair and is founder of The Cradle to Cradle Design Paradigm as well as co-author of the book Cradle to Cradle. He is the scientific director of EPEA International which he founded in 1987, and is co-founder of McDonough Braungart Design Chemistry.